Congratulations on your engagement! The weeks and months to come will be a whirlwind of planning and celebration, from colors and bridesmaids to venues and music. Your engagement is one of the happiest and most exciting times in your life and capturing it on camera is often as meaningful as your wedding day photography. It’s time to practice! - How often do you have your picture taken by a professional photographer? Probably rarely or never! 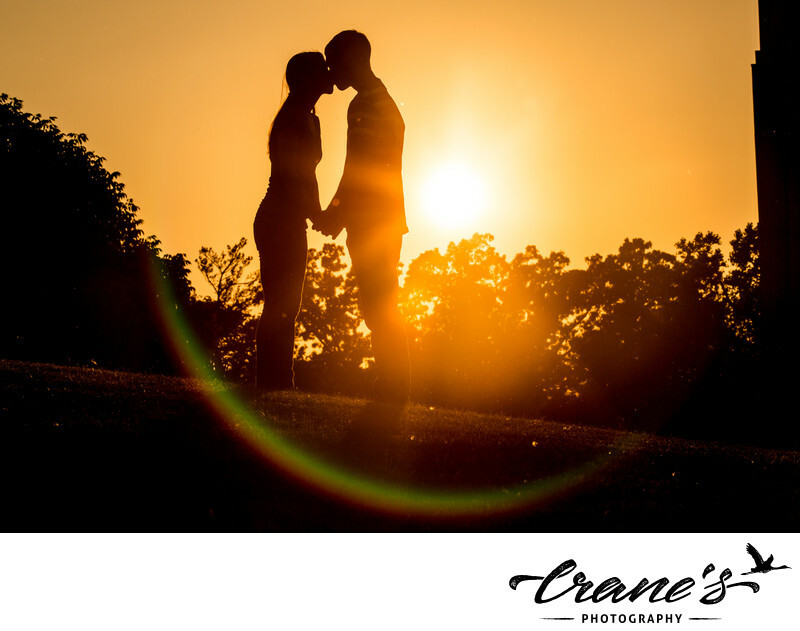 Your engagement pictures are an excellent opportunity to prepare for your wedding day. The e-shoot allows us to get to know each other better, breaking down walls so you may feel more comfortable and natural in front of my camera. I use a variety of tricks and tools to help couples build confidence in front of the camera and you’ll quickly find yourself laughing and sharing romantic moments without a second thought as to my presence. Some brides even coordinate their e-shoot with their hair and makeup trials to get a true idea of what to expect on the big day. The practical uses are endless - Couples use their e-shoot photographs in dozens of ways! These images are ideal for save-the-day cards, invitations, wedding boards and imagery during your reception, placeholders, guest books, thank-you cards, or even just a beautiful image to hang in your entranceway at home. 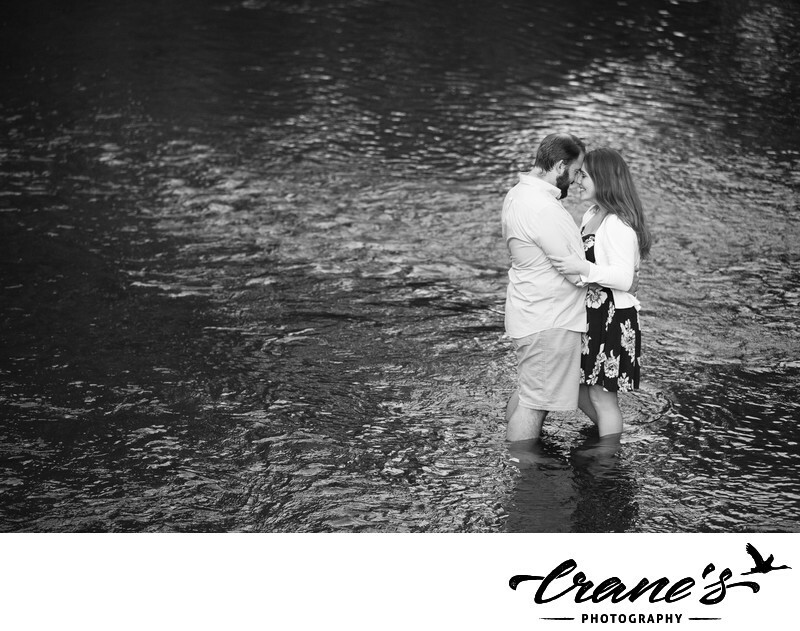 The importance of getting to know each other - Engagement photos give us a chance to work together and develop a rapport for your wedding day imagery. I want you to understand my photography style, direction and how I interact with the couples I photograph. Your e-shoot is a blank slate so be 100% honest and open with me and we’ll make something magical! Your photographer is going to be present your entire wedding day. Nothing’s worse than artificial, staged, “deer-in-the-headlights,” look! 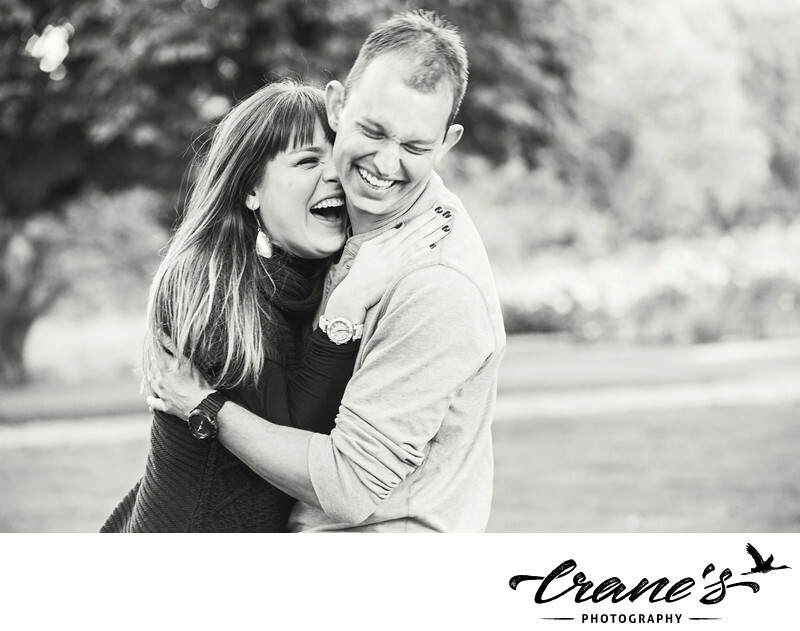 The e-shoot is the ultimate icebreaker between a couple and their wedding photographer. By the end of the session, you’ll feel much more prepared for the rollercoaster of emotions your wedding day will bring. Commemorate your engagement - This might sound obvious but take a moment to think about it! The early days of your engagement are very exciting; the proposal has just happened and both of you are dreaming of the wedding and life you’ll share together. Things will get busy as the wedding draws near, so this is the perfect time to step back, celebrate and even announce your engagement through a series of candid photos. You’ll have lots of photographs of your wedding day, but your engagement is completely different! This shoot is all about the TWO OF YOU. The wedding day will be a flurry of activity, tears and laughter. Engagement shoots, on the other hand, are slow-paced, peaceful and a rare opportunity to capture the early days of your pending marriage. 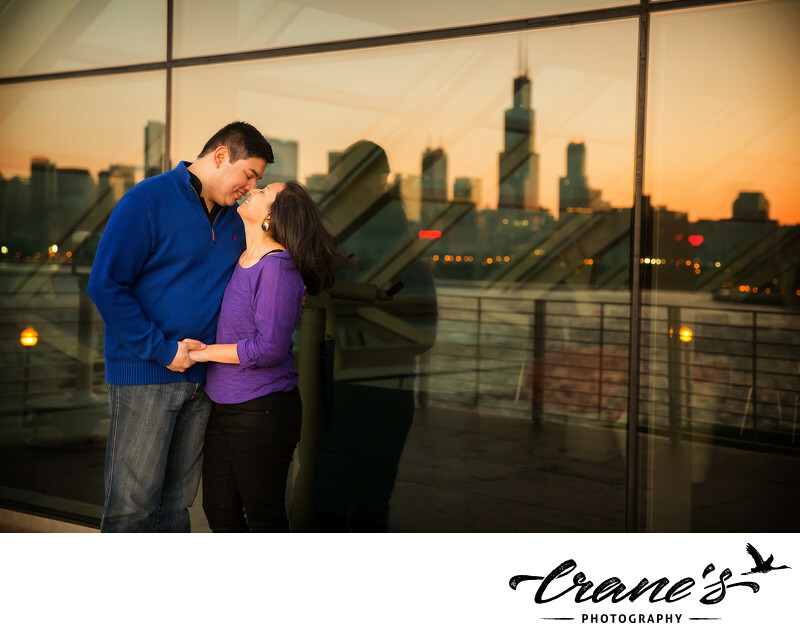 An engagement session or e-shoot, simply put, is a portrait session. Even though I’ll suggest some poses or movements that will result in beautiful pictures, my e-shoots aren’t staged. I want you to be natural and relaxed so we can catch authentic moments, real emotion and your unique characters. Different clients have different goals in mind. Some want pictures to hang at home or share with parents, and others have a specific goal, such as developing save-the-day cards. Even though your wedding might seem far away, your engagement will fly by and you’ll appreciate looking back at this tender moment in your lives. Where should the photos be taken? Virtually anywhere you want! I’ve photographed engagement sessions at dozens of locations in Chicago and Wisconsin and am happy to make some recommendations. Some of the best shoots, however, are taken in places that have meaning for a couple. Many couples choose locations where they met, had a significant date, got engaged or shared a fun, meaningful experience, like a college football game. I suggest picking a place that inherently makes you feel good. This should be a place where you’re relaxed, comfortable and happy. From my experience, the more meaningful, the better! Whatever makes you feel like you! Honestly, there’s no right answer. You should wear something that makes you feel beautiful and comfortable, whether that means jeans and cowboy boots or an elegant dress and heels. Totally up to you. My only recommendation is that you don’t match your partner. Coordinating colors and outfits are flattering and look great in engagement photos. If you’re going to dress up or dress down, just make sure your partner does too. Will you show us how to pose? Don’t worry about posing. I understand it’s easier said than done but trust me! We want natural photos that allow your personalities to shine through. I’ll guide you here and there, offering some instruction as to angles and poses, but as long as you focus on loosening up and enjoying one another, you’ll be thrilled with the outcome. I promise! What days and times are sessions available? I book engagement sessions Tuesdays through Thursdays, with the rare Friday appointment. I have a very busy wedding photography schedule and, unfortunately, am not able to schedule engagement shoots on the weekends. Other than that, the time of the session depends on the location and time of year. I usually schedule all sessions 2 hours after sunrise or 2 hours before sunset. This rule of thumb can be applied to any time of the year. What about kids, dogs and props? Your kids and fur babies are welcome, but I suggest limited their involvement. 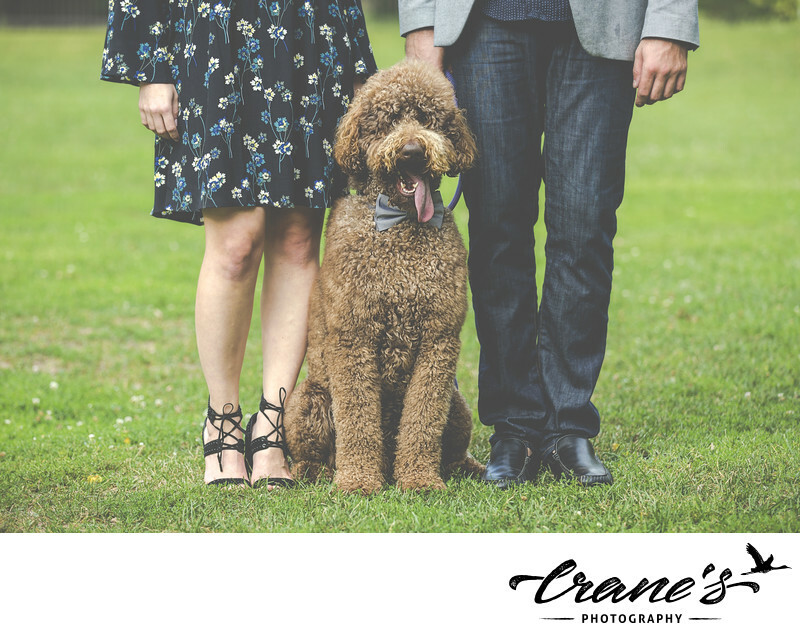 We’ll want to capture some pictures of just you and your spouse-to-be, so you’ll need someone to help handle the children or dogs. As for props, they are permitted – especially if it’s something meaningful for you – but we don’t want them to detract from the focus on the two of you. The goal of the engagement session is to capture stunning portraits of you that reflect your excitement, love, happiness and anticipation. If you want to run down the Navy Pier with a gaggle of balloons, let’s do it! Same goes for “Thank You” and “Save The Day” signs, but after that, we’ll put them away and focus on taking some images starring you two.